It seems .io games just sort of come and go, doesn't it? 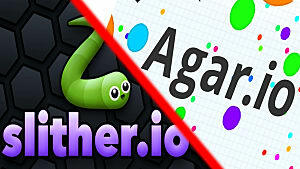 Aside from the big boys like Slither.io, Agar.io, and Diep.io most see a small popularity blip then disappear into the sunset to be forgotten by all. I've had my fair share of .io game addictions -- all three of the ones above, as well as the lesser-known Opka.io, have taken up much more time than I like to admit, and I've dipped my feet into some outliers like Wormax.io, Mope.io, and several others. I just like .io games, I guess. 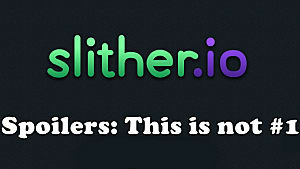 So in early 2016, I correctly predicted Slither.io was going to beat out Agar.io in terms of popularity. Now, on the cusp of 2017, I'm going out on a limb and saying Eatme.io is going to be the new up-and-comer to look out for. If you primarily play these games on PC via a browser, you may have missed Eatme.io completely. But if you play on mobile, you may have already given its fish-hunting action a shot. If you haven't, you definitely should. "Give Me the Gist of Eatme.io!" I guess that's not detailed enough. 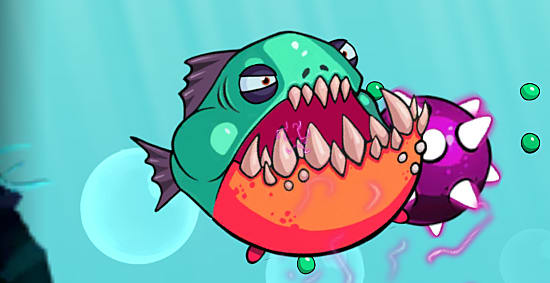 Imagine the "huge hunting the small" action of Agar.io, but instead of cells you play as fish. And instead of just splitting apart or shooting out mass, you can poop on your enemies to slow them down, split apart to more easily maneuver across the gamespace, and evolve into bigger, more effective killing machines. That's pretty much Eatme.io in a nutshell. 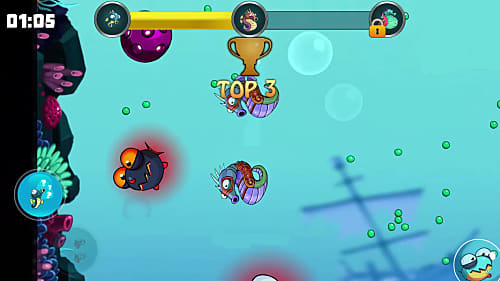 Instead of infinite rounds, you enter a 2-minute match with other players and compete to eat the most fish in the allotted time. If you've unlocked evolutions, you can evolve into fish that both maneuver better and have special abilities. 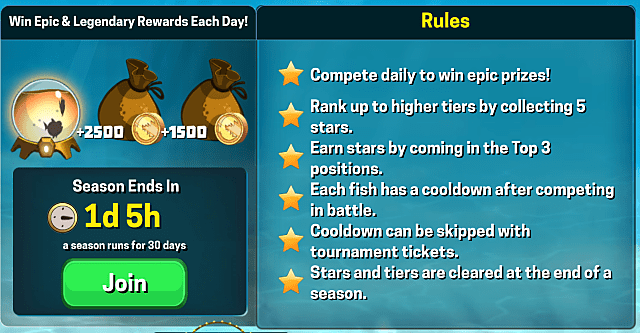 At the end of each round, you get some gold to spend, some very nice stats at which to gawk, and maybe even a fish bowl to get new sea creature and evolution pieces. This is one of the few .io games that has a persistent sense of progression, in this case, that progression lies in getting new fish and their evolutions, not to mention leveling them up individually to increase their abilities. Each fish/sea creature you can unlock and use in Eatme.io has its own ability. For example, the default fish evolves into a piranha, which unlike the default fish can who can only shoot one poo behind it can shoot several poos in one skill use. Alternatively, the octopus and its evolutions can all shoot ink to blind enemies, though each one spews ink differently. The differences between each type of fish are a bit more like Diep.io, though you can't choose your animal type and evolution while in a match. Instead you choose your animal before you play and evolve it as you get larger in a match, provided you have the evolution unlocked. Oh, and unlocking new sea creatures and evolutions is another thing entirely, which can take a lot of time without spending real money. That said, the arena-style gameplay is fun enough not to care too much about the time investment needed to progress. This is the thing I really love about Eatme.io: it keeps a lot of stats, and you can compare your ranking both with friends and against global players. Past stats and leaderboards, which are huge ego strokers, are easily found, while the game also has tournaments for skilled players to duke it out. Though those are something you shouldn't get into until you've been playing for quite some time. 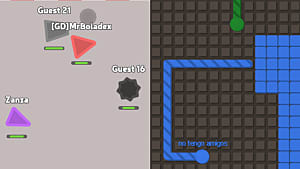 Stats are one thing I've always wanted in my favorite .io games, and the fact that Eatme.io has so many and even keeps stats for individual sea creatures is just a joy. So many stats to look at! So many to improve! 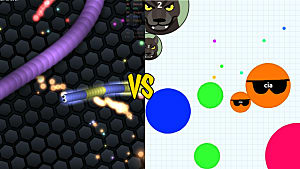 Gameplay in Eatme.io is very similar to Agar.io. You get larger as you eat and have to protect yourself from larger creatures. It's almost as simple as that. Movement in the game is initially fairly slow when compared to some other .io games, but as you improve your fish you get faster, gain increased maneuverability, and respawn more quickly on death. 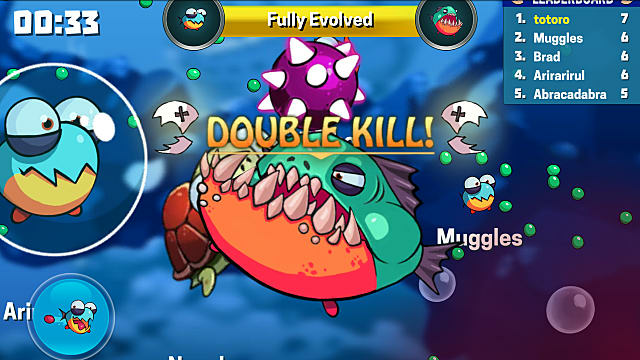 You evolve by eating enough fish food or other fish to fill your XP bar, after which you'll automatically evolve into the next more-powerful fish in your evolution chain. You'll be a bigger and more powerful killing machine, and that is nothing to scoff at. This article doesn't mention a number of facets about Eatme.io, and I urge you to give the game a try yourself and learn them as you go. 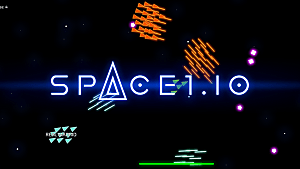 For what's essentially an Agar.io clone, it brings enough newness to the table that it doesn't necessarily feel like an Agar.io clone. If this all sounds good to you, you can grab Eatme.io up on iTunes and Google Play. 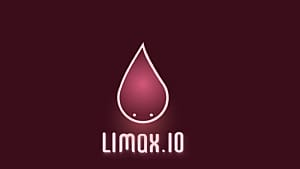 If you've been looking for a new .io game, this may be it. There's no doubt this new entry to the genre is going to climb through the ranks through 2017. You can quote me on it come next December. 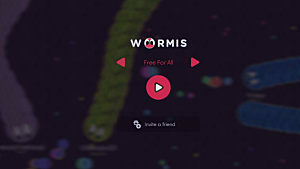 How is Worm.is different from the popular Slither.io?